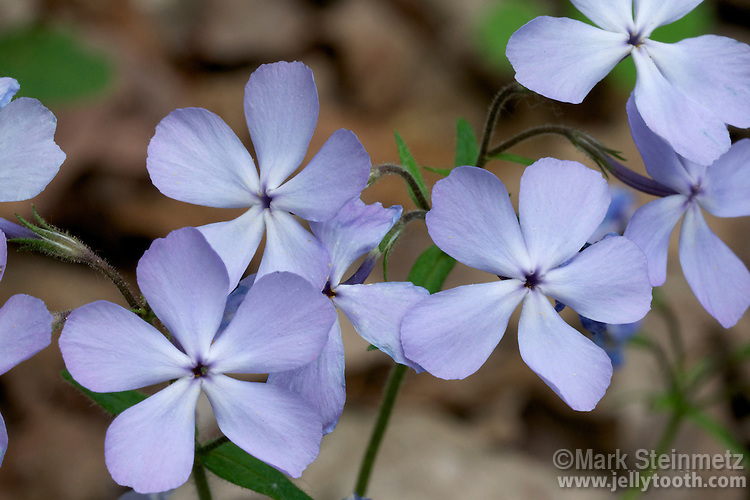 Close-up of Wild Blue Phlox (Phlox divaricata), also referred to as Woodland Phlox or simply Blue Phlox. Spring ephemeral wildflower of woodlands of eastern North America. Franklin County, Ohio, USA.